Memorial | Donald Thomson - Dedicated. Trustworth. The Memorial area is located just west of Downtown Houston, right below Interstate 10 (also known as "The Katy Freeway" in this area). This diverse area is well-known for its forested neighborhoods and a rich variety of residential architecture. 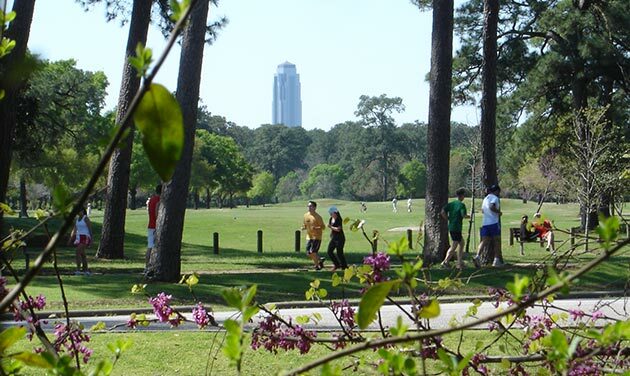 Memorial Park is the crown jewel of this area, and it has been dubbed "the largest urban park in Texas". The 1,466 acre park has everything from biking trails, running/hiking trails, a top-rated 18-hole golf course, and facilities for swimming, tennis, softball, volleyball, and even in-line skating! The popular Bayou City Art Festival is also hosted inside the park. Business mixes with pleasure in this area as it is home to a numerous mixed-use business districts such as CityCentre, Memorial City, and Town & Country Village.